Everybody knows how annoying it is when you have a cough, especially one that seems to linger on and on. But what about when your pet coughs– in some cases it seems that they are literally going to hack up a lung. In no particular order, here are 7 of the most common reasons that your pet may be coughing– and some can be quite serious. This highly contagious and common illness usually results in a dry, honking cough. The cough itself can last for weeks, especially untreated. Kennel cough increases the chances for developing pneumonia, which can be a very serious condition. Most dogs with kennel cough will act normally, but frequently have uncontrollable non-productive coughing spells. While there are different types of Pneumonia, most of them result in a more productive, or wet sounding cough. Often times these pets feel sick and are lethargic in addition to having a cough. Moderate to severe cases of pneumonia require hospitalization and can even be life threatening if not treated aggressively. Early diagnosis and treatment of pneumonia results in a better (and generally less expensive) outcome. Because conditions like Pneumonia can be expensive to treat, I always recommend my clients look into pet insurance early on. Cat and dog insurance can be the difference between getting your pet back to healthy. Very similar to people, pets may develop asthma. This is a disease in which the smaller airways of the lungs become constricted, thus not permitting proper oxygenation and difficulty breathing. Animals with this condition may have a whistling or whining component heard to their cough. Treatment is generally focused on opening up the airways and decreasing the inflammation around them. Heart disease can cause coughing through several different mechanisms. One of the most common is by something called pulmonary edema. Pulmonary edema is an accumulation of fluid within the lungs. This can occur secondary to heart disease when the heart is unable to move blood forward effectively. This results in a backup of fluid (often in the lungs) and is also known as congestive heart failure. Pets with heart disease can have both wet and dry-sounding coughs. The trachea is the main and largest airway in mammals, often referred to as the windpipe. In this disease, the trachea loses some of its integrity and becomes narrowed or collapses. Collapsing tracheas are much more common in smaller dogs than larger animals. Usually the cough is dry and it may be associated with excitement or exercise. In very general terms, there are two forms of cancer that cause animals to cough. The first is a primary lung tumor. These are tumors that originate within the lungs themselves and are often referred to in human medicine as lung cancer. The second and more common type is called metastatic lung cancer. This term refers to the spread of cancer from a tumor located somewhere else in the body to the lungs. Differentiating between these two cancer forms can often be done with an x-ray. In the veterinary world, foreign bodies can refer to any outside object in the body that shouldn’t be there. I’ve seen everything from cheat grass to bullets, sticks, stones, and toys. Dogs can be very crafty in finding ways to get things lodged in their throat, or even further down the hatch toward their lungs. Cats are also known to ingest dangerous and bizarre materials. Coughs can be extremely variable given the magnitude of possibilities, but often occur very acutely and are discomforting. As a veterinarian, I have seen all different types of coughing animals. While some cases are easy to treat, other cases can be very serious and complicated. Those cases also become very expensive. 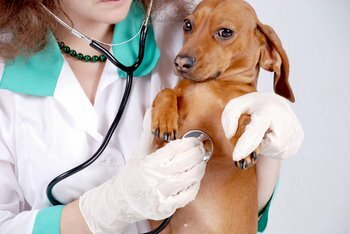 As mentioned above dog and cat insurance may help offset those costs to insure your companion receives all of the care that is necessary during any respiratory problem.